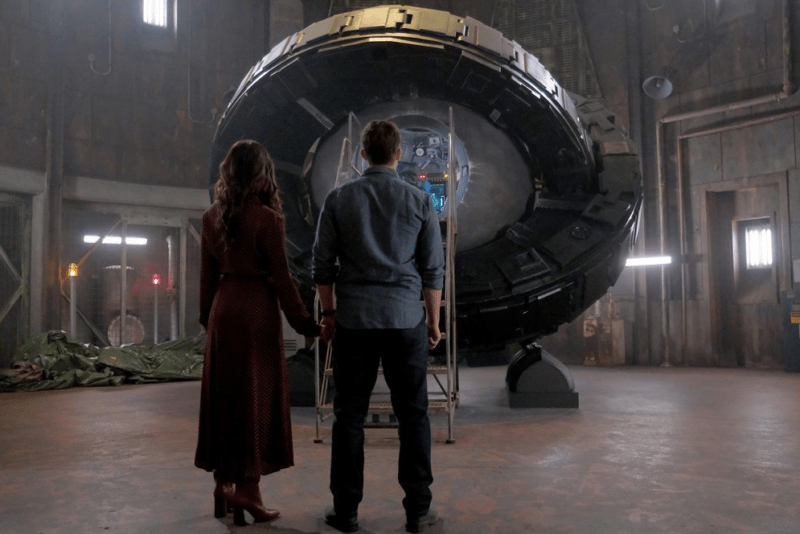 Lucy (Abigail Spencer) and Wyatt (Matt Lanter) in the ‘Timeless’ series finale. Image courtesy of NBC. Calling all #ClockBlockers, we have just the thing to put you in the holiday spirit! The official Twitter page of the Timeless writing team made an exciting announcement last night. Hey #ClockBlockers! @SPTV has a very cool thing planned called “The Twelve Days Before Timeless” that’s going to kick off this Saturday – 12 days before the Movie on @NBC. Cool behind the scenes stuff, extra content and prizes to some lucky winners. Be on the lookout for it! Last week, we covered some of the various behind-the-scenes information that has been released so far in regards to the two-hour series finale, so it will be exciting to see what else the Timeless team and Sony have in store for their eager fans. Make sure to tune in to NBC on Dec. 20 at 8/7c to watch the epic two-hour conclusion of Timeless. ‘Kings of Con’ to Premiere on Comic-Con HQ on November 15! Disney World to LiveStream Epcot’s Illuminations Monday!